2 weekends ago, Ernie and I had a playdate with a girlfriend of mine and her adorable English Bulldog Rosie. We went to Redbud Trail and had a hectic brunch at Opal Divine's on 6th (the pups didn't understand that their mamas had lots of catching up to do!). Unfortunately I didn't get a pic of the two (imagine that) but hopefully will get some in play dates to come. I didn't want to fun to end so I decided to take Ernie shopping. I've started taking him with me on all of my errands and haven't had anyone kick us out yet! You don't see a Frenchie everyday so most people flock to the little man and he loves it. We went to West Elm and ended up staying for over a half hour. If you've never been to the store, you MUST check it out. I found at least 50 things I wanted but would have had major buyers remorse buying a table lamp for $100. 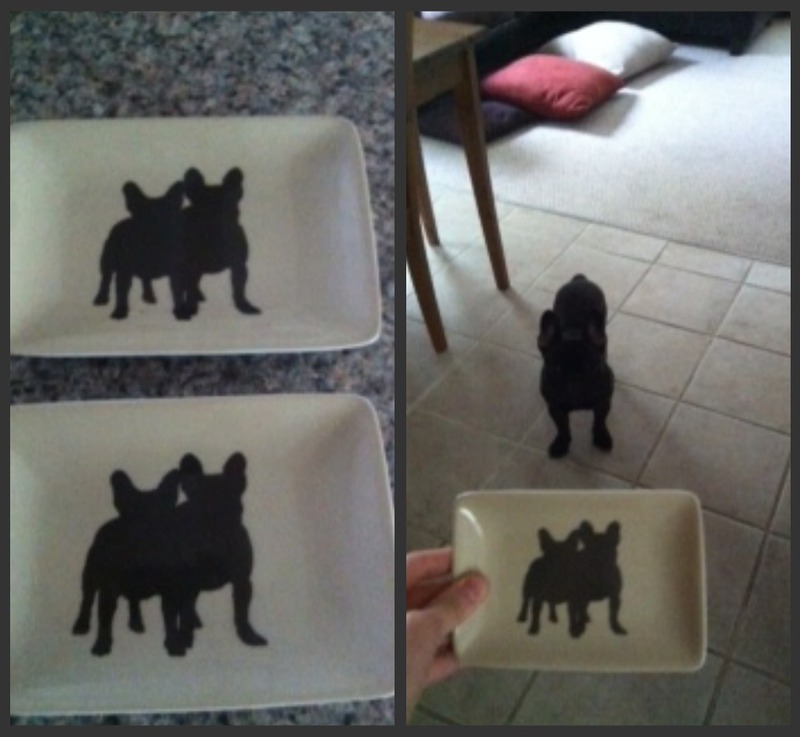 A friend had told me about these adorable dessert plates with French Bulldogs on them. I snagged 1 for myself and 1 for Ernie's "mimi" (my mom) for Mother's Day. We also hit up Whole Foods which is surprisingly dog friendly as well. Ernie loved riding around the in the cart and of course got lots of lovin and stares. 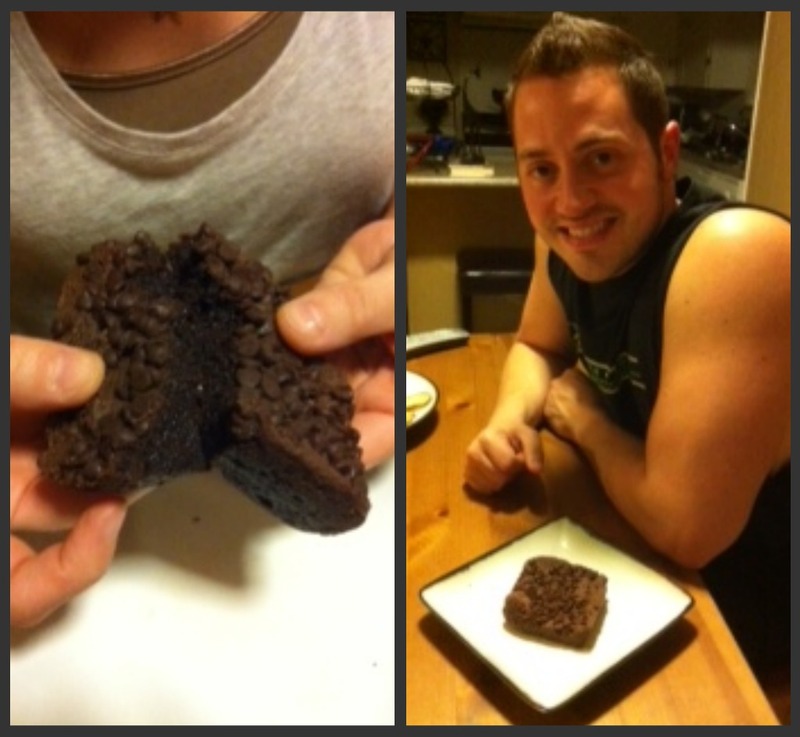 Jon was en route home from Vegas and we picked up one of his favorite treats....a sugar free brownie. Yep you heard that right. SUGAR FREE. This is great since Jon is hypoglycemic but it is the most heavenly thing I've ever put into my mouth. I have no idea how they make it and Google won't tell me. This is just a pic on my iPhone but look at how moist the brownie is! Please let me know if you have a delicious brownie recipe that is light on the sugar :-). They are in the bakery section of Whole Foods, check em out. Any other dog friendly restaurants/stores we should check out? We are actually trying out Brickhouse Tavern in NW Austin tonight....dog friendly yay! Ruthie, try subbing the sugar with unsweetend apple sauce and use 1/2 all purpose flower 1/2 whole wheat flower. I have a really yummy recipe if you want to try it... just let me know and I'll scrounge it out for ya!